Aloysio De Andrade Faria is a 94 year old banker and businessman in Brazil. Trained to be a pediatrician, he entered the world of banking after the death of his father, and there was no looking back ever since. With so many banks under his portfolio, his net worth has been estimated at US $ 2.9 billion, and he is one of the richest people in the country. His life is an inspiring story in itself, evidencing how a trained medical professional turned into a billionaire banker under the force of circumstances. Faria completed his Bachelor of Arts/Science from the University of Minas Gerais, and Master of Science, from the Northwestern University. After completing his education, he became a pediatrician in his city. But he practiced his profession for only a couple of years, after which his father Clemente Faria died, and he undertook his father’s financial business in 1949. It was a medium sized bank in Minas, the Minas Gerais Farming, which later became the Royal Bank. In 1978, he transferred the bank’s headquarters to Av. Paulista 1374, and bought some of the most updated data processing systems. Soon, the bank became the 4th biggest in the country. In the late 1990s, Faria sold all its assets to ABN AmroBank, but kept other enterprises from the Real Group, including Real Leasing Co. and Seguros Real Insurance. Then, instead of retiring form his business, he re-invested and incorporated a new investment bank, the Alfa Bank, in New York, which today is one of the top 10 successful banks in the nation. It is a conglomerate of many companies, including C&C Home & Construction, Alfa Bank, La Basque the ice-cream network, Transamerica Hotels and Agropalma. The last one is the biggest palm oil company of Latin America. Aloysio De Andrade Faria is also the proud owner of Transamerica Network Communication, a radio network which was rumored to be sold to Universal Church of Kingdom of God. He also owns one of the biggest Guarana plantations on the globe, the Transamerica Corporation, which includes media groups and a hotel too. However, Aloysio has a humble personality, and still drives a Mercedes Benz from the 1960s. His Transamerica hotel chain operates the Comandatuba Island, one of the most exclusive resorts in Brazil. 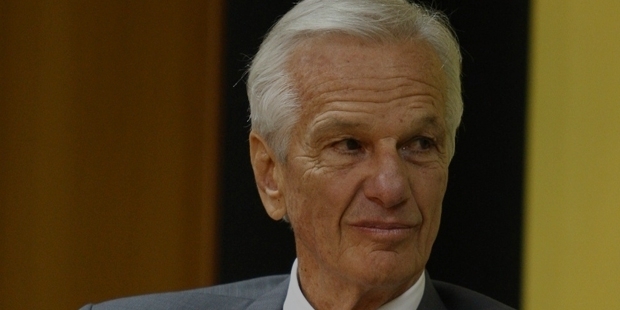 Forbes magazine had ranked him as the 12th wealthiest man in Brazil. Aloysio reportedly owns numerous farms, and about 150 pure-bred horses. 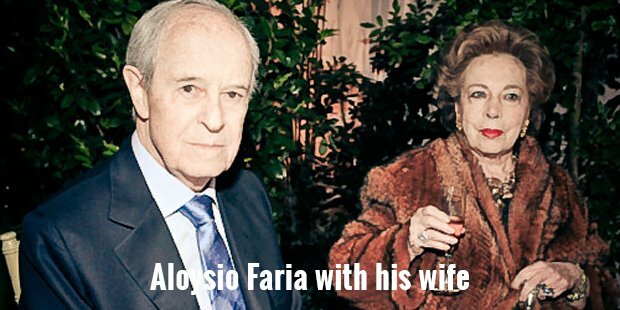 He has 5 daughters, none of whom is involved in his business; however, husbands of 2 daughters are CEOs to some of his businesses.Transformed from a pediatrician to one of the biggest bankers and businessmen in Brazil, Aloysio De Andrade Faria is one of the top 500 billionaires across the globe.